If you like this free game, try Fire and Forget. In Super Toy Cars, prepare yourself for a heart-pumping race as you speed through various challenging tracks, overcoming dangerous sharp bends. Collect different power-ups and have your competitors crushed. Challenge your friends to a death race on the tracks that you customised and have a race of your life. Are you ready? The race will begin in 3...2...1...GO! 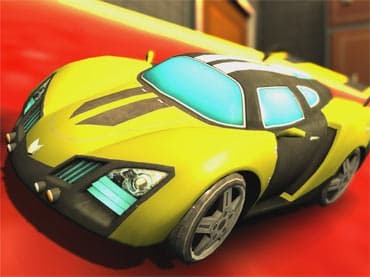 - Super Toy Cars is a free full version game to download and play. If you have questions about Super Toy Cars game, please contact us using this form.